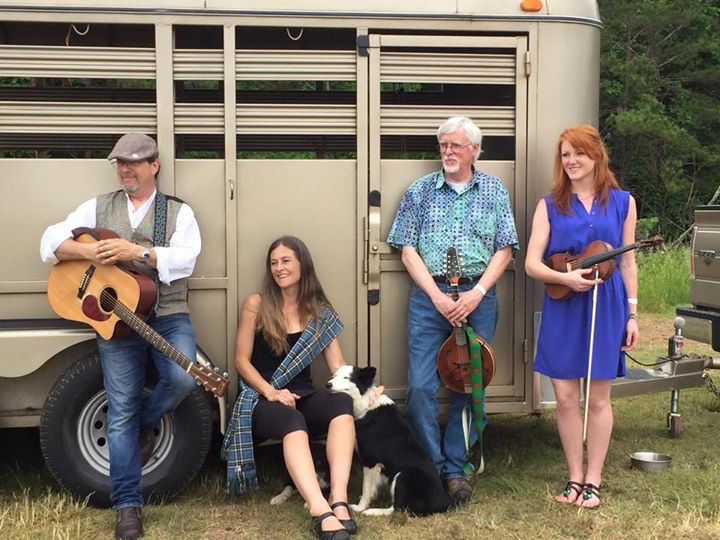 Since their inception in 1999 the BorderCollies have been delighting audiences around the Southeast with their own take on Irish and Scottish traditional songs and tunes. The band started when Caeri Thompson and Michael Robbins met at the Swannanoa Gathering in the summer of 1999. Both were taking Celtic music classes and connected just after a songwriting class taught by Irish singer/songwriter Susan McKeown. After returning to Atlanta the two decided on the band and the mission – to perform, arrange and compose Celtic music in a traditional form with an original twist. Since then, three albums and hundreds of gigs later the band is still thrilling audiences and inspiring new fans to Celtic music. Their original lineup which included Howard Williams on vocals, mandolin, harmonica and bodhran now features Suzanne Harner on fiddle and tenor banjo and Claire Shirey on fiddle, concertina and step dancing.